The idyllic American university campus conjures the image of a safe and open academic environment where students spend four or more years learning new ideas and preparing for future careers. Professors challenge eager students to open their minds to old and new perspectives in science, mathematics, business, and of course, the arts and humanities. Universities nurture an atmosphere where academics and scientists can engage in groundbreaking research, make advances in technology, and publish on novel theories and discoveries. For many students, college may be the first time they are living on their own, allowing them to explore not only academic freedom but personal freedom. For parents coping with their children leaving home, some comfort is found in the expectation that while students are on campus the university will be actively taking measures to protect them from physical harm and risks that could affect their future. 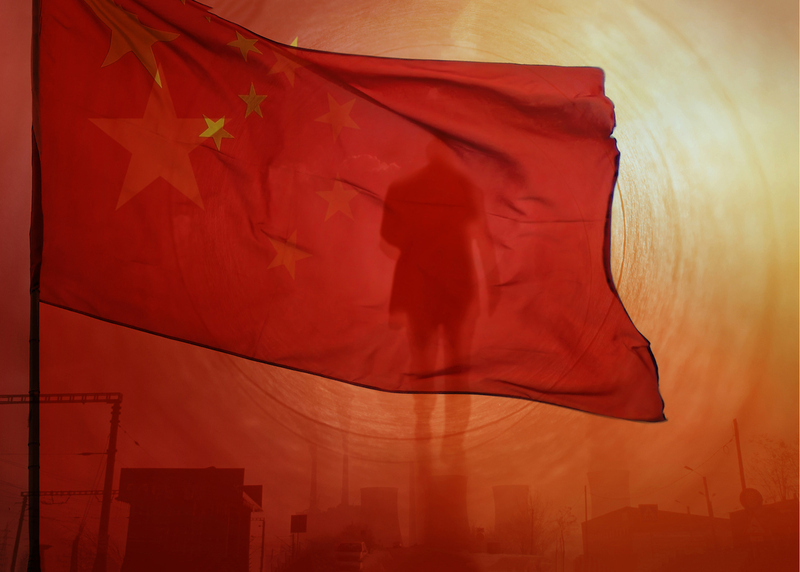 Parents don’t realize that for some students, college may be the first time students are exposed to the clandestine world of international espionage. Espionage knows no boundaries. Foreign intelligence officers and spies lurk wherever there is information of value to be had or people with access to it. Information does not have to be a government secret for a foreign intelligence service to want to steal it. Nation states play the Great Game to gain an advantage, whether political or economic, over their adversaries. And there is plenty of information of value on American college campuses to attract the attention of adversary nations. From advanced research in sciences and technology to professors with access to U.S. government officials, American universities are a target-rich environment for intelligence collection, intellectual property theft, and the illicit transfer of research and technology. The welcoming nature of American universities—from unlocked entrances to university facilities, minimal investigation into the backgrounds of students enrolling in classes, and open admission to conferences, seminars, and other campus events—creates the perfect opportunity for undercover foreign intelligence officers or their human sources to slip onto campus and search for students who have potential for entering sensitive positions in the U.S. government or landing jobs with American companies engaged in the development and production of emerging and advanced technologies. While the threat of espionage may not be apparent to parents and students, American universities have little excuse for not knowing about it. Federal law enforcement agencies like the FBI regularly attempt to advise universities of the potential espionage threats on campus, and the media also has reported extensively on them. The risks are real, knowable, and preventable, and universities that ignore the threats could face potentially devastating consequences to their reputations, relationships, and financial well being. For students who do not fully appreciate the risk and get wrapped up on the wrong side of the clandestine world, the impact on their futures can be tremendous and irreversible. Espionage on campus and the often-related illicit transfer of research and technology from school laboratories also contribute to immediate and long-term decline of U.S. national security interests and the competitive advantage the United States possesses in sciences and technology. The university campus has been part of the Great Game chessboard for years. This is nothing new and not much has changed. In 1930s Great Britain, five college students with communist sympathies came under the spell of espionage at the University of Cambridge. Donald MacLean, Guy Burgess, Anthony Blunt, John Cairncross, and Kim Philby were in their undergraduate years when the NKVD, the Soviet precursor to the KGB, recruited them to serve the communist cause. At the time, none of the students had access to information of value or persons of interest, but the NKVD believed these men, who came from the right social class, would find their way into positions of influence and access. They all did. MacLean landed key positions in the UK’s foreign office, the equivalent of the U.S. Department of State. Burgess held positions with the foreign office, the BBC, and MI6. Blunt spent some time in MI5, served as the Surveyor of the King’s Pictures, and used his standing in academic and social circles to spot other potential Soviet spies. Cairncross made the rounds at MI6 and Bletchley Park, the precursor to the UK’s Government Communication Headquarters (GCHQ). Kim Philby was the prize of the five. While starting his espionage as a freelance journalist in the Spanish Civil War, which gave him access to pro-Franco forces—the ideological enemies of the Soviet Union—Philby returned to the UK and entered MI6. There, he steadily rose through the ranks, eventually overseeing MI6’s counterintelligence operations against the Soviet Union. The Cambridge spies, most notably Philby, are still considered to be some of the most damaging spies in UK espionage history. The notoriety of these men is well known in England, and their association with the University of Cambridge as the Cambridge Ring or Cambridge Five will forever be remembered. American universities have not been immune to the espionage efforts of foreign intelligence services. In 1984, a student-spy working for the Cuban intelligence service and studying at Johns Hopkins University “spotted” Ana Montes as a potential Cuban recruit. After being introduced to Cuban intelligence officers, Montes agreed to spy for Cuba while still a graduate student at Johns Hopkins. She later became an intelligence analyst at the Defense Intelligence Agency (DIA), focusing on Cuban issues. She was arrested in 2001 and sentenced to 20 years in prison. In 2002, Qingqiang Yin, a former Cornell University researcher was arrested before boarding a flight to Shanghai from New York. He was carrying numerous bacteria samples and yeast cultures belonging to the university. The FBI investigation revealed Yin was seeking a job with a research facility in China and offered to bring the bacteria and yeast cultures to China for commercial enzyme production. He was sentenced to 12 months’ imprisonment for conspiracy to defraud the U.S. government. In 2006, Carlos Alvarez, a psychology professor at Florida International University, admitted during a plea hearing that he had been a Cuban spy for nearly 30 years, gathering and transmitting information about Cuban exile groups to Cuban intelligence agents. His wife Elsa, also a professor, admitted knowing of her husband’s conduct. They were sentenced to five and three years’ imprisonment, respectively. In 2012, the FBI arrested 12 deep-cover Russian SVR intelligence officers who were engaged in espionage against various American targets. One of the SVR officers was Cynthia Murphy, a.k.a. Lydia Guryeva, who while studying for a master’s degree at Columbia University, was tasked by the SVR to develop relationships with classmates and professors who have or will acquire access to secret information and to report on their backgrounds and characteristics, providing assessments on their vulnerability for recruitment as spies. The SVR also directed Guryeva to collect information on students seeking employment with the CIA. After pleading guilty to failing to register as an agent of a foreign government, the United States returned Guryeva (and the other deep-cover officers) to Russia in exchange for prisoners held there. In 2013, Hua Jun Zhao, a Chinese research assistant at the Medical College of Wisconsin, was arrested and charged with economic espionage after stealing cancer research compounds and shipping them to China, where he allegedly planned to take them to a Chinese university for further development. He pleaded guilty to the lesser charge of illegally downloading research data and was sentenced to time served (four-and-a-half months). Since 2004, the Chinese government has opened numerous Confucius Institutes at universities across the world, including approximately 64 institutes at American universities. While the stated mission of the institutes is to promote the study of Chinese language and culture abroad, concerns have been raised about the ulterior motives of these institutes. 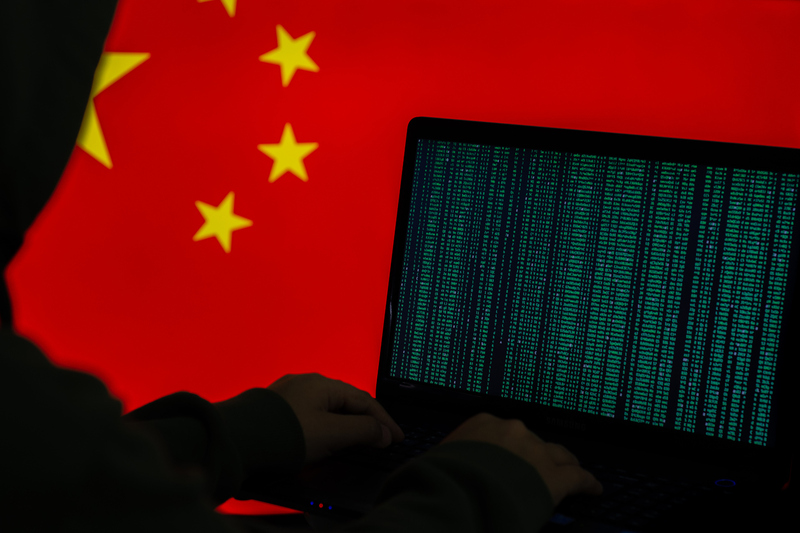 Allegations have also surfaced that the institutes may be Trojan Horses used by the Chinese government to conduct espionage activities. Regardless of the public evidence available on the alleged intelligence function of these institutes, from this former intelligence officer’s perspective, they are the perfect front for penetrating American universities and targeting their students. Again, these are only examples of the espionage threats facing American universities. These incidents and others have been well documented in the public domain, and American universities dedicated to risk management should know about them, if not for their own protection, then for the benefit of their donors and students and U.S. national security. Today’s American university receives funding from a variety of sources, including alumni, businesses, philanthropic organizations, and federal and state governments. Research grants from the public and private sectors are a significant source of income for universities, and donors want the university to reap the benefits of their contributions. No donor wants to see years of research and funding illegally diverted to a foreign government or competitor. A university that does not take this risk seriously could begin to see expected research grants and contributions being provided to other schools or facilities, especially when the U.S. government is the funding source. Universities should also consider the disruption a law enforcement investigation into espionage on campus can have on its day-to-day operations, reputation, and ability to maintain investor (philanthropic) confidence. The media will undoubtedly provide thorough coverage of an espionage investigation, the accuracy of which is not guaranteed. Investigators will be removing and combing through files and records. Computers may be seized, and electronic files of all kinds will be requested. Interviews of those with knowledge of the incident or perpetrators will be required, and if a public trial takes place, there will be more disruption and publicity. A university wanting to maintain or salvage its reputation after the uncovering of espionage on its campus will find it advantageous if it can truthfully state it has been cooperating with law enforcement on the investigation rather than have a story surface that the university was one of the obstacles law enforcement had to overcome in order to put an end to the espionage. Having the university’s name negatively associated with a foreign espionage investigation is not the kind of publicity a university will find easy to overcome. For students, the consequences of becoming entangled in espionage could be severe. Students make easy targets, and their idealism and naiveté can often get in the way of their judgment. Once a student is recruited as a spy, his opportunities for reversing course without consequence are limited. One only needs to look at the choices made by Glenn Duffie Shriver, an American just out of college and living in China, who was slowly manipulated by Chinese intelligence to seek employment with the CIA. Shriver was arrested and sentenced to four years’ imprisonment after pleading guilty to conspiracy to commit unlawful conveyance of national defense information. Shriver was released from prison in 2013, but he will be forever remembered as a Chinese spy. Not a great resume builder. From a national security perspective, espionage on campus also contributes to the perpetual and long-term decline of the United States’ competitive advantage over its adversaries. The technology and research lost to other countries through espionage and theft robs the American economy of the commercial and economic benefits it would have derived in terms of jobs, profits, and scientific and technological advancement. The stolen knowledge increases the commercial and economic standing of the countries that committed the theft to the detriment of the United States. If the stolen technologies and research have military, defense, or security applications, then the losses also contribute to the threats the United States faces from countries and adversaries who seek to challenge or harm its national security interests. Universities are a soft target for espionage and offer potentially lucrative rewards for our adversaries’ intelligence targeting efforts. Every loss resulting from espionage or foreign theft at an American university is a gain for the adversaries of the United States. These risks and potential consequences transcend the inerrant concept of the open, academic environment. 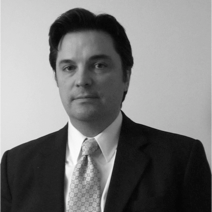 Anthony Bishop served as a CIA case officer from 2004-2014. He currently works in industrial security and teaches courses on intelligence and homeland security issues at the University of Massachusetts Lowell.